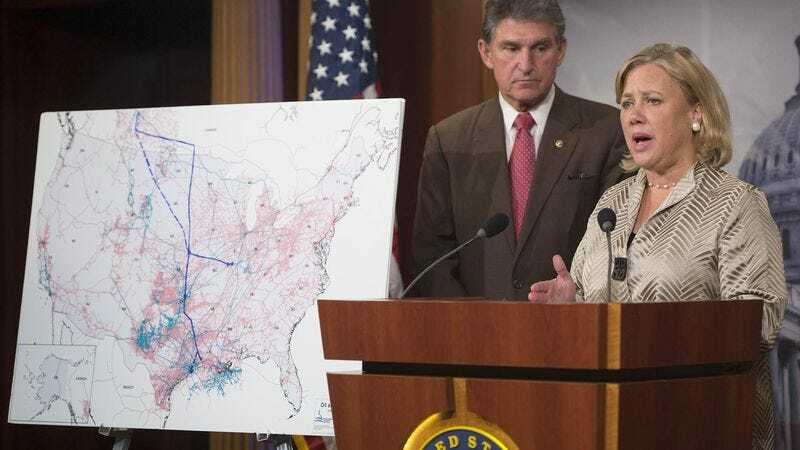 WASHINGTON—Coming up just one vote short of the supermajority needed for the measure to pass, the U.S. Senate rejected an oil pipeline plan Tuesday that analysts say would have created thousands of climate activist jobs. “By blocking the Keystone XL bill, Senate Democrats have shown that they care more about appeasing their special interests than putting honest Americans back to work picketing pipeline construction sites and collecting signatures to block oil shipments through their state,” said Senate Minority Leader Mitch McConnell (R-KY), who stressed that the initiative would have created some 42,000 jobs protesting the building of the structure along its proposed 1,179-mile route. “Yesterday’s vote was a vote against the creation of thousands of employment opportunities in important, high-growth industries such as environmental campaigning, organizing climate rallies, and monitoring global warming. Sadly, because of liberals’ short-sighted views, citizens from Montana to Nebraska won’t be able to find steady work vocally opposing climate change.” McConnell added that the setback was only temporary, however, stressing that as soon as his party takes control of the Senate next year, they will get to work creating hundreds of thousands of jobs raising awareness of dangerous industrial pollution and cleaning up oil spills.